Join us each Sunday as we celebrate the Presence of Christ in our midst. Come as you are knowing that you are welcome within this household of Christians in any ways comfortable to you. St. Clement's Community Come Join Us! Saint Clement's Church is a faithful Christian community of faithful folks striving to follow Jesus and be his heart, hands, feet and at times voice in our world. 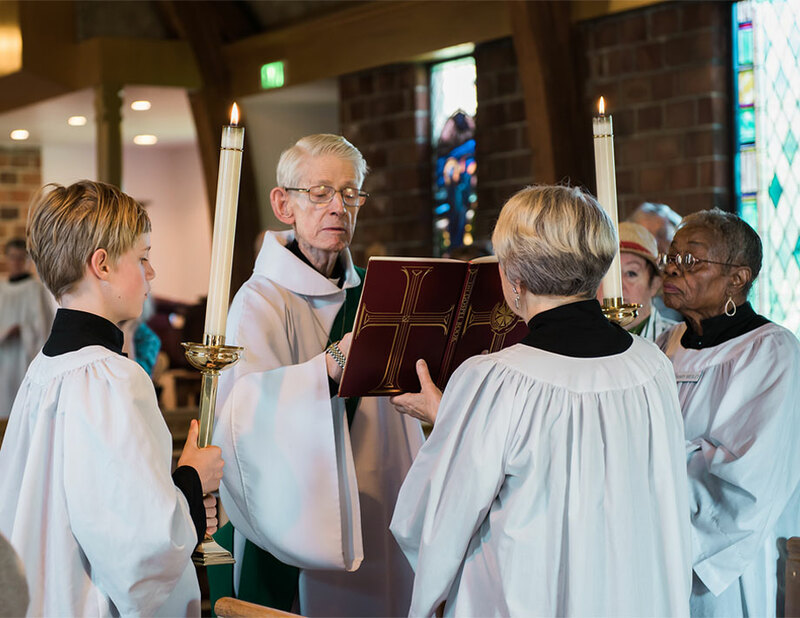 Unless a Sacrament is being celebrated, and there are exceptions to that rule too, the Ministry of the Church is the role of every baptized member. As St. Paul reminds us, “there are varieties of gifts, but the same Spirit; and there are varieties of services, but the same Lord; and there are varieties of activities, but it is the same God who activates all of them in everyone. To each is given the manifestation of the Spirit for the common good.